I have become such a child of the earth, ignoring the "designated" dates for seasons, as well as the stereotypical assumptions of the calendar months. Just last week we had snow, typical for "winter" as it is called. 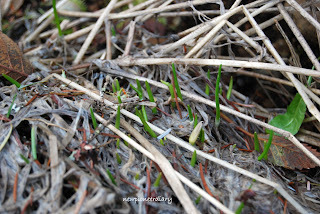 But today I spotted shoots in the chives patch! New growth! Life in the garden! OK, I do get a little more than excited with the first signs of what's labeled "spring". Personally I follow the Solstices. The waxing and waning of the planet. I believe it is the breath of the earth. 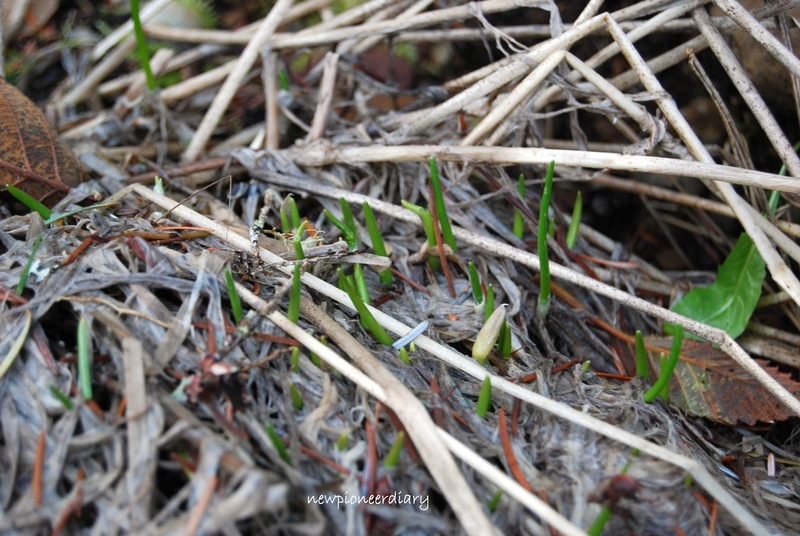 In our northern hemisphere, mother nature is now busy with the tasks of bringing on new growth, as she has been since the winter solstice, when she began to wake up again. Anyone who is in tune with their garden is beginning to feel these magical effects, reading the seed catalogs, planning this years crop, buying new tools. My sister has a tradition of reading seed catalogs at Christmas, making her choices for the upcoming season. I just begin to feel giddy about the longer days and looking forward to digging in the dirt. I am always fascinated with the ease and grace with which the plants add new growth. How such a seemingly dormant looking plant could be so alive! So if you're like me, don't live by the calendar, live by the example of nature. Always enjoy hearing from you Jennifer! Good to know there are kindred spirits out there. Growing up my Mother depended on the phases of the moon to guide her in planting her garden. I now wish I had paid closer attention and learned more about it. She passed away when I was 21, and before I had matured enough to ask pertinent questions about these sorts of things. I'd love to be able to ask her. I am amazed by folks who are so in tune with nature. Thanks for visiting. Have a peaceful weekend. It's never too late to learn anything new, I believe.